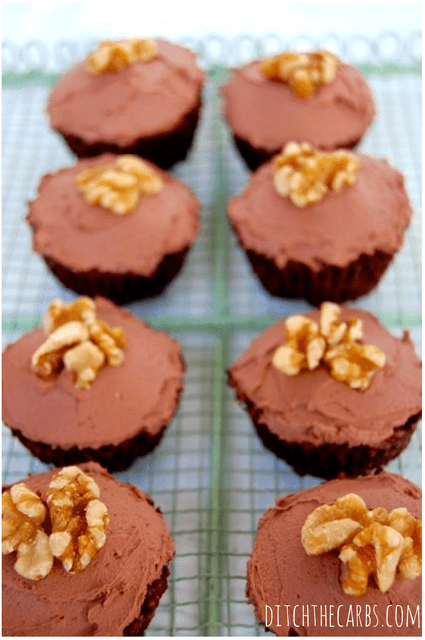 What’s a low carb cupcake without a low carb Chocolate Cream Cheese Frosting? The cream cheese gives a certain sharpness to the flavour, but I like that especially as I have finally lost my sweet tooth (you can see my old way of baking and icing here). 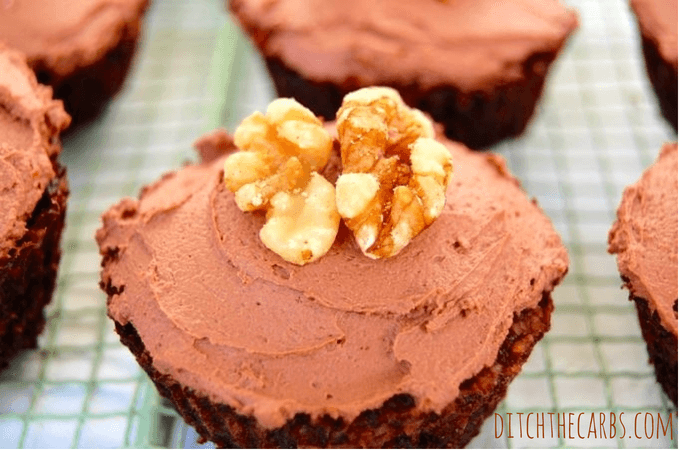 You may need to play around with the quantities for the Chocolate Cream Cheese Frosting, as the cocoa sweetness and bitterness varies so much between brands. Also depending on how sweet you like frosting, you may want to add more or less sweetener. 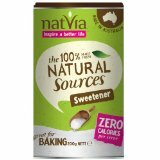 I personally don’t use much to avoid the bitterness you sometimes get with stevia, and the fact my taste for sweet things has now changed. I add coconut cream to make the cream cheese a spreadable consistency, but you may add double cream instead if you don’t want the subtle coconut flavour that coconut cream adds. Mix the coconut cream, cocoa powder and sweetener together. 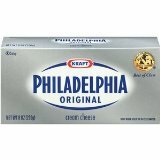 Add the softened cream cheese and mix until thoroughly mixed through. Looks amazing. Glossy and creamy. Really liked this frosting, I did use more sweetener (erythritol) than you said, but I like things very sweet. I also added 1 teaspoon of vanilla extract. It was perfect! At first I didn’t think there would be enough to frost my 13×9 inch cake, but there was. Thanks! This was perfect frosting. I used heavy cream, then thinned it out to fluff it up with cashew milk. My son likes Truvia, so I used that to sweeten + 2 drops of maple syrup + 1 tbs of vanilla extract + a few drops of stevia liquid + a pinch of salt (for double the recipe). He said it is amazing! Thank you so much for posting! This was perfectly delicious!! I used it on Dr. B legal brownies!! Just whipped perfectly in my blendtec. Thanks! Yay Chrissy! Love, love, love Dr. Bernstein and all that he does.